We are contributing an astonishing range of Designer Glass Doors. Valued for its eye catching feature of finishing and even edges, it is being appropriate in various areas such as doors of prayer halls, bedrooms and hotels. Our broad variety of glass doors is provided at market leading prices with slightest maintenance. This beautiful range is being manufactured, keeping in mind the worldwide industry norms and guidelines. We are looking for queries for Designer Glass Doors from Coimbatore & Around including Booluvampatti, Sulur, Malumichampatty, Saravanampatti, Kurichi & Gudalur. We present our client a variety of Fiber Glass Door that is obtainable in varied designs, sizes & colors and can also be modified as per their necessities. These Fiber Glass Doors have the ability to prevent leakages, corrosion and rotting problems. 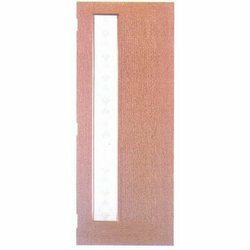 We are the leading Fiber glass door manufacturers in Coimbatore . Looking for Designer Glass Door ?